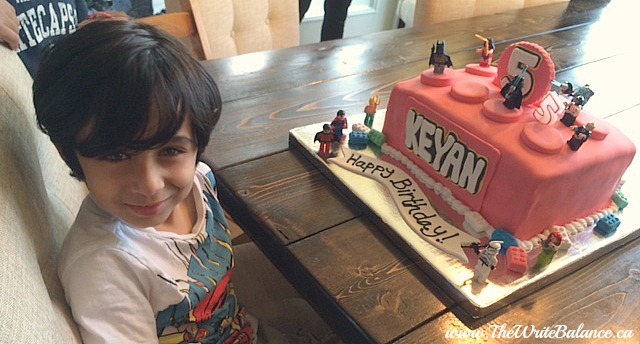 It’s almost a month late, but we finally had a party to celebrate Keyan’s 5th birthday. His actual birthday was on May 7th, but we were on a family vacation in San Diego at the time. 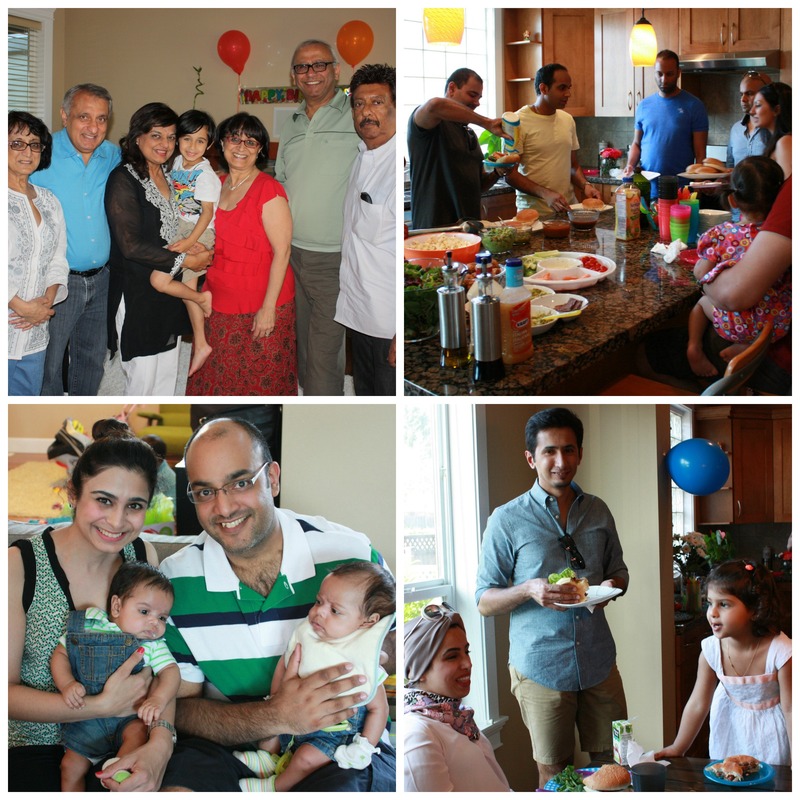 We moved into our own place in March so this year we decided to have a big party with friends and family. The weather was supposed to be sunny so we planned a bbq. 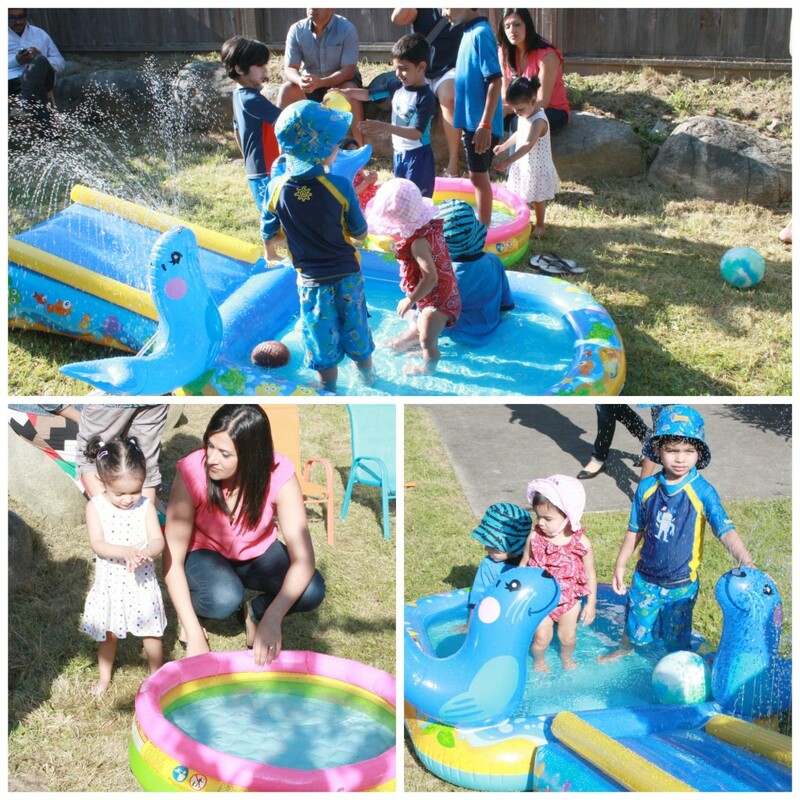 We also set up a kiddie pool and waterside outside in the backyard which was a big hit along with the water balloons my mom gave Keyan! Inside we set up a necklace making table, a play dough table, a train table and a lego station. There was lots for the kids to do and it looked like they were all having fun! It was also great to have family and friends all in one place, some we hadn’t seen in a long time. Parties are always a great way to reconnect. There was talking, mingling, laughing and lots of babies to play with. This year we held the party in the late afternoon because the morning was filled with tennis and swimming lessons. Next time I will definitely stick with an earlier party time because when a nap isn’t taken, it leads to a grumpy party girl. 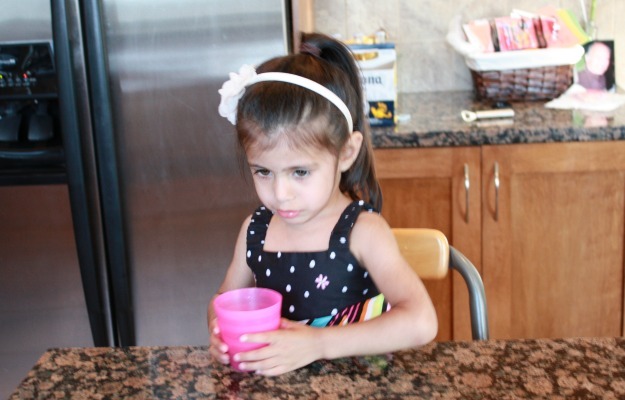 Kyah pretty much wasn’t in the party mood but luckily it wasn’t her birthday! After dinner it was time for the birthday cake. 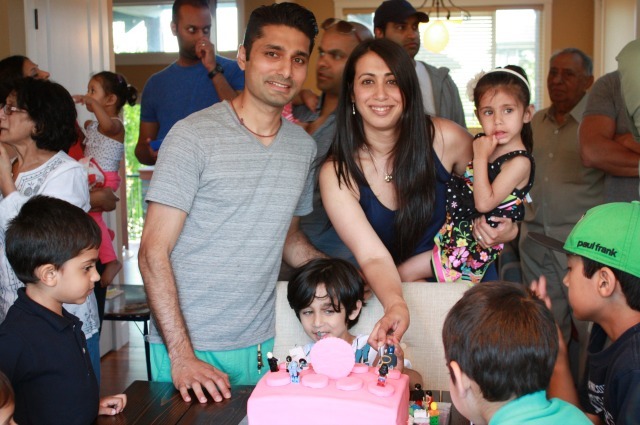 When we brought out the fabulous LEGO cake, everyone was so impressed that I could make a cake like that. But I confessed that this year we just didn’t have the time to make it. Instead we ordered it from Cakes By Shazia and she did a really great job! Every one ooh’d and aah’d while Keyan decorated it with his mini figures. We sang ‘Happy Birthday,’ did some cake feeding and then everyone got to eat dessert. By then it seemed that everyone was partied out so as families started to leave we gave the kids (and babies) something fun. Instead of a loot bag, everyone got a book and bubbles. After everyone was gone, our family stayed around to help us clean up. It was wonderful when we finally went to bed to have no dishes in the sink and clean floors. All in all, I think it was a pretty successful birthday party. Happy Birthday to my amazing 5 year old! It’s definitely a milestone I will never forget. Looks like everyone had a wonderful time. I like the idea of a book and bubbles instead of a loot bag. 5 is such a fun age. And the last chance to really enjoy them before they are off to school.